The annual International Workshop on Fixed Field Alternating Gradient (FFAG) Accelerators for 2013 will be held at the TRIUMF Laboratory on the campus of the University of British Columbia from September 21-24. Thus it will follow immediately after the 20th International Conference on Cyclotrons and their Applications (also to be held in Vancouver), and a week before the North American PAC'13 (starting September 29). In view of the similarity of FFAGs and cyclotrons - both in beam dynamics and in technology - we hope that this juxtaposition will encourage FFAG Workshop delegates to attend the Cyclotron Conference as well (and vice-versa) - and that the exchange of ideas will be of mutual benefit. Topics will include beam dynamics, hardware, and the application of FFAGs in areas such as particle physics, cancer therapy, ADSRs, and medical and industrial irradiation. 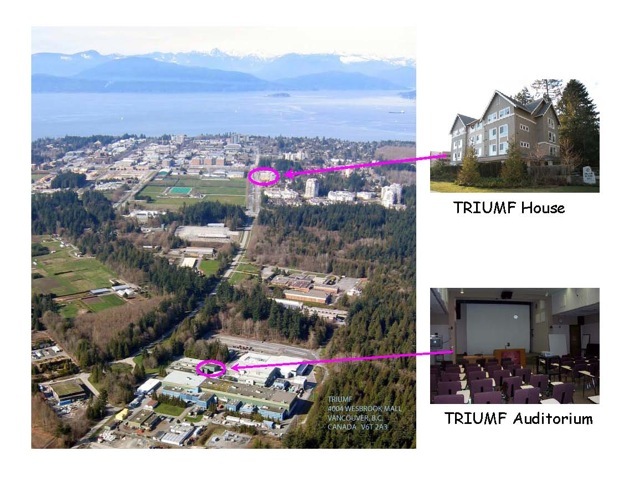 Accommodation has been reserved at the TRIUMF guest house nearby.